All HYSC teams are responsible for recording the game score and referee attendance after each and every WYSL game. Please designate someone on your team. 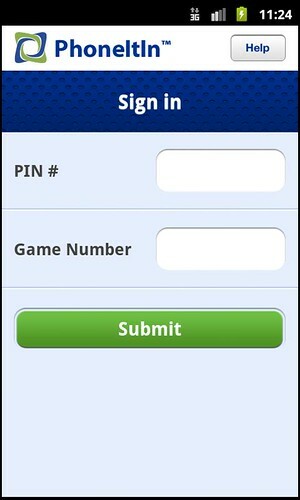 It can be the Head Coach, Assistant Coach, or Team Manager to record the score right after each game - either by dialing the toll free number, by using the “phone it app” on your smartphone, or by going directly to the WYSL website. Please see below for procedures. Please note that scores should be reported immediately after the conclusion of your game and latest by 6pm on Sunday evening. If your game ends earlier at say 11am, 12pm or 1pm - Please report the score right after the game – it only takes a minute. If the score is not reported (by either team), the WYSL can fine both teams: $100. If it is not reported on Sunday night, we will be in touch with you to report your score as the WYSL checks first thing on Monday morning. All games (even TBA, TBS and makeup games) need to be reported, so even if your game is on a Saturday or any other day, follow the exact same process. Please e-mail me at hyscscores@gmail.com if you have any questions on how to designate those situations. 2. When asked, say or enter the pin number of the event, and the code of the game (the game code is the 7 digit WYSL game number which is posted on the WYSL website for every game). The PIN # for the Westchester Youth Soccer League for the FALL 2014 SEASON IS # 2826. You will then be told the division, teams playing, and field location - if this is the correct game, confirm by saying yes. (2) "Phone-It-In™ - Enter Scores using an Android or iPhone App"
Phone-It-In™ is Demosphere's revolutionary score reporting system. Instead of being in front of a computer, you can now report scores on the go from your mobile device. For those with iPhone or Android devices, a free app allows easy score reporting with no phone call required! . Ready to start? Download PhoneItIn™ from Apple's App Store or the Android Market! If you choose these options, please test it out this week (before the season begins) to make sure it works correctly and that you don't have any questions. Remember, you cannot have two games with the same game number (within the same division or across divisions) to use the PhoneItIn™ system. The score and referee attendance can also be entered on the WYSL website (www.wysl.org) under the red tab, “Schedules/Scores/Standings”, click on the drop down menu “reporting game results”. Click on the link “to report scores and referee attendance”. Coaches must also report referee attendance. You can enter both score and referee attendance here and you will not have to call the scores in. 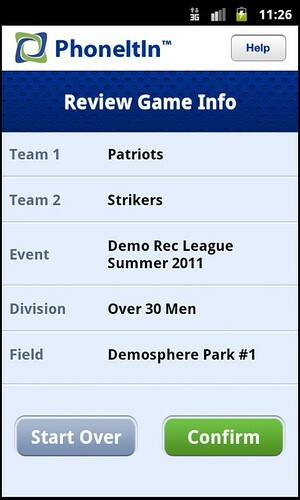 Go to link: http://wyslsoccer.org/phoneitin if you are unable to use above link. As always if you have any questions about recording your scores, or referee attendance, please contact Lisa Nero, Club Score Reporter at hyscscores@gmail.com or 914-760-9781.